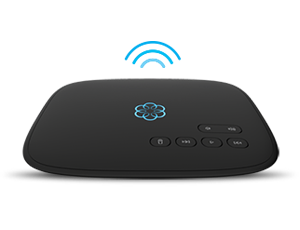 Ooma Telo is a centralized communication hub powered by a broadband Internet connection. With Ooma you can create and enjoy a fully customized communications experience that is tailored to your specific needs based on the products and services you choose to integrate with your Ooma Telo. Home phone: With unlimited domestic calling and voicemail, this VoIP (voice over Internet protocol) service routes your calls over the Internet using either your existing phone number or a new phone number. 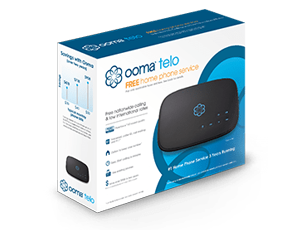 Handset (Ooma HD2): Just like the cordless handset of a typical landline phone, but this one can be placed anywhere in the house and will connect wirelessly to the Ooma Telo and features color picture ID. Remote phone jack (Ooma Linx): When you don’t have the wiring in the room where you want the phone (and you don’t have an Ooma HD2 handset), all you need is an electric outlet. Wi-Fi + Bluetooth adapter: Install the Ooma Telo anywhere in your home without the need for a hardwired connection into your router. Use your cellphone (Ooma Mobile HD App): The app lets you avoid using cell phone minutes by connecting calls using Wi-Fi or a data connection. Call notifications on your cell phone (Apple iOS and Android): Did the contractor call your home line instead of your cell? Keep tabs on all phone lines at once by setting up iPhone or Android devices to notify you when your phone rings at your house or when a voicemail message is left on that line. Notifications can also be sent to Apple Watch or Android Wear devices. Voice-activated dialing: Ooma seamlessly integrates with Amazon Echo’s voice-activated assistant, Alexa. The Echo typically provides information, music, news or weather by voice command. And now a voice command can be used to call your mom or check your voicemail. Smart home integration with Nest: By integrating with Nest Learning Thermostat and Nest Protect, you can stay connected to what’s happening at your home while you’re away. If your Nest Protect is triggered by a smoke alarm, you will receive a call or text on your cell phone and have the option to call 911 from your home phone so emergency responders can easily record your address. If you are expecting someone to be at your house while you’re not there, the service can call your cell phone to alert you if they did not arrive on schedule. While you’re away and the Nest Thermostat is in ‘Away’ mode, you can automatically receive any calls made to your home phone, directly to your cell phone so you never miss a connection. Ooma will service automatically switch back when the Nest Thermostat detects you’re in ‘Home’ mode again. Google integration: Use Google’s services to manage your communications; receive notifications of incoming calls via Gmail messages, archive your voicemail messages in Google Drive and log your phone calls in Google Sheets. Customize call notifications: The WeMo suite of devices lets you customize call notifications using connected home electronics. Go soundless: Rather than a phone ring, your lighting can be programmed to notify you of calls or voicemails through integration with the IFTTT app and either Philips Hue light bulbs or LIFX light bulbs. Voicemail backup: Never again will you lose that message with voicemails that are automatically backed up to cloud storage on Dropbox. You can archive old messages and scroll through new messages. Ooma’s comprehensive integration offerings let you work with whatever smart home technology you want or already have in place. Never fret about the call from the soccer coach you missed while you were stuck in traffic. Never again worry if you left that tea kettle on. Go hands-free with voice-activated dialing. Support communications for a growing business with plans that include up to 20 users. Whether your communications are for personal or business use, technology integrations help you stay connected no matter where your life takes you.